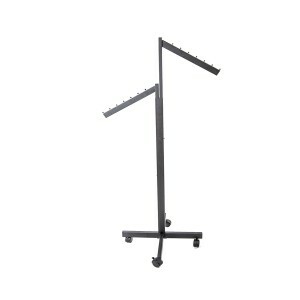 Black two armed rolling rack, one slanted one straight, with adjustable arms from 48" to 72" inches. One slanted arm and one straight arm. 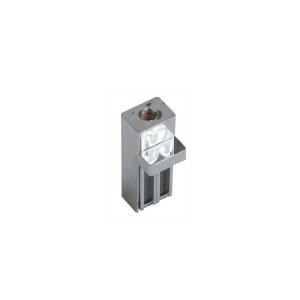 Push button adjustments and includes 2 locking wheels. 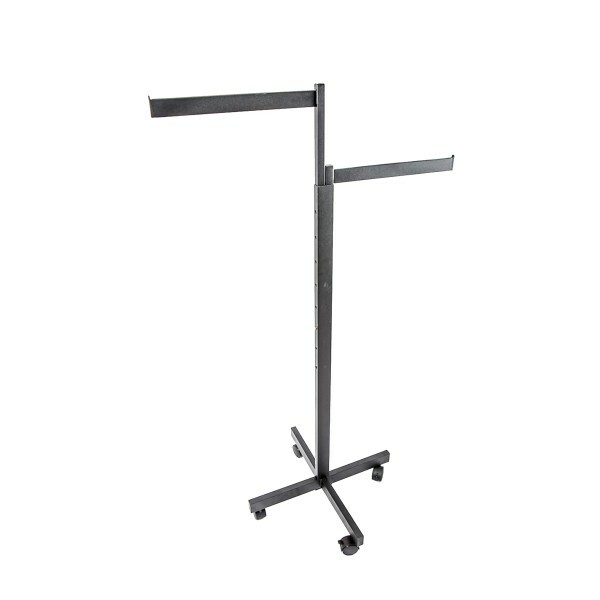 Display all of your apparel with our black 2-way garment rolling rack with one slanted arm and one straight arm. 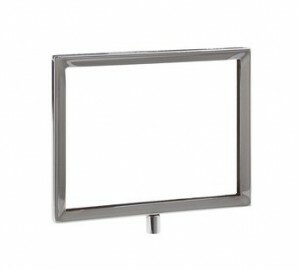 By using the waterfall display arms, customers will be able to see all available merchandise located on the slant arm rack. 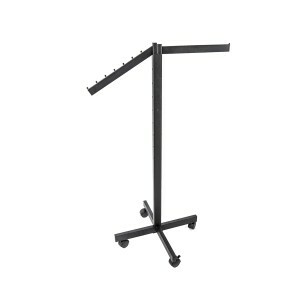 Keep similar styles organized on the straight arm. 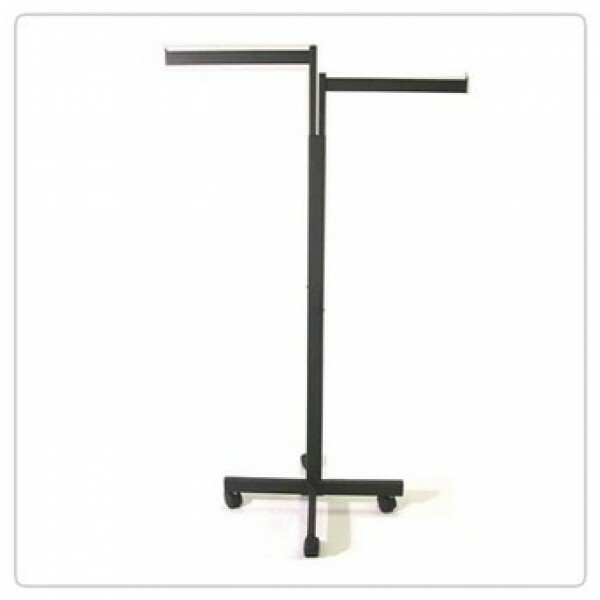 In a black finish, these 2-way clothing racks will match your store. 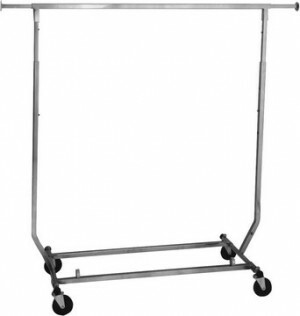 Featuring push button adjustments to change the arms from 48" to 72" High easily in 3" increments, the two-way apparel rolling racks maximize floor space and allow you to display your merchandise exactly how, and where, you want it displayed. 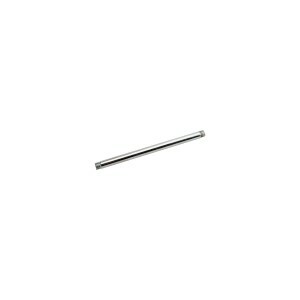 Includes 2 locking wheels.